This table is special to me. It was handed down to me a while ago; it used to be my Mother’s and had country ducks on the front and back and although I loved the table, the ducks just didn’t go with our décor. 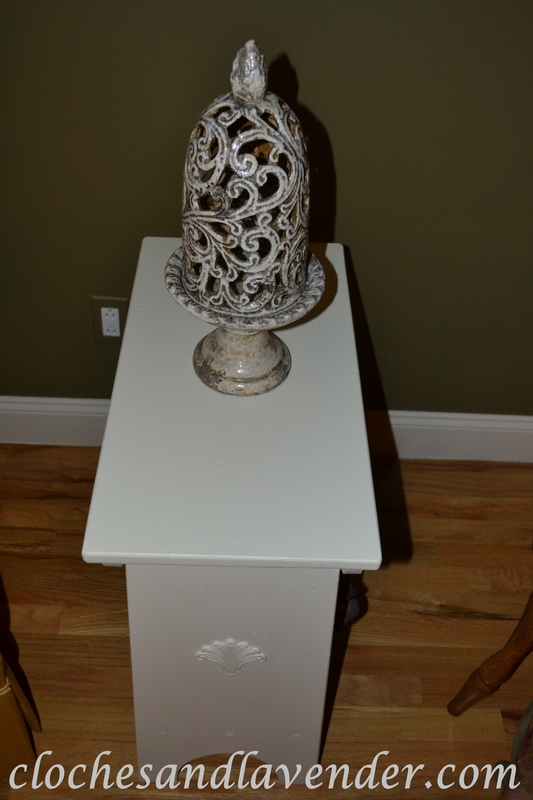 I decided to paint the table and add appliques for a more elegant look. 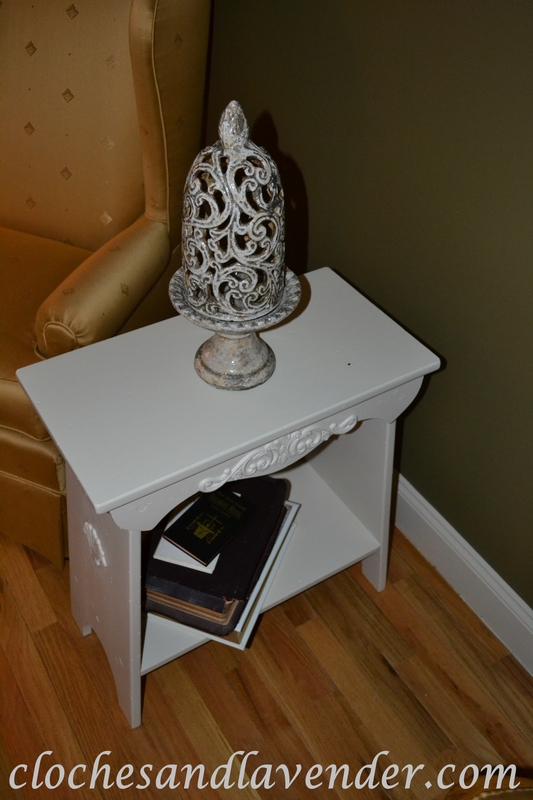 I went with an ivory tone to complement the writing desk and other features in the living room. One of my favorite more recent finds from Home Goods is the cloche on top of the table. I love the size and the detail. Below I have our family bible which was passed from my Grandma to my mom and then to me. It contains some written family history inside and I cherish it. The white one was given to me by my Mother to hand down to the next generation. I still have my missal from my communion and my husband’s too, so I put them there as well these also mean a lot to me. 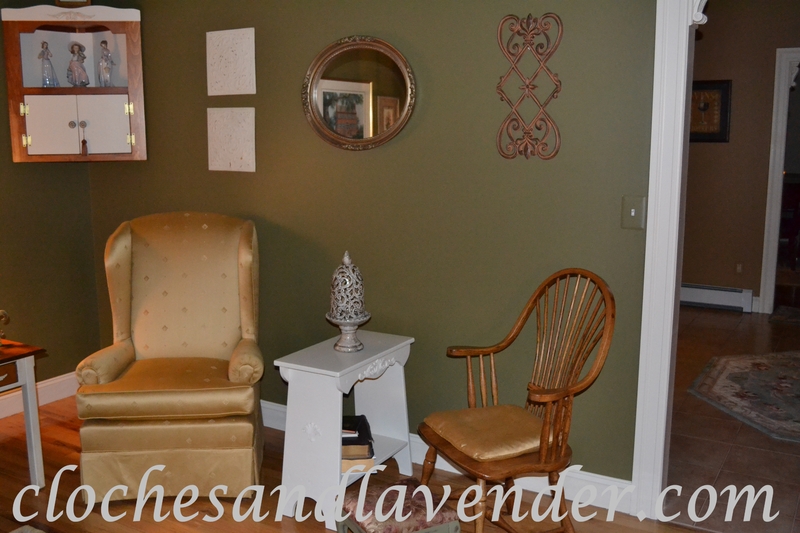 I’m happy that I incorporated the table into this grouping on one side of our living room. Such a nice little table. It picks up the ivory color in the cloche! I just love that little table. It’s so simple, but has a great shape to it. Plus, I’m kinda drawn to simple furniture.